MainAll NewsForeign AffairsWill Brazil become Israel's friend? Will Brazil become Israel's friend? Professor Arie Kacowicz, an expert on Latin America, examines the historic elections in Brazil which were won by the “Trump of Brazil”. Professor Arie Kacowicz, an expert on Latin America from the Department of International Relations at the Hebrew University of Jerusalem, examined in depth the results of the historic elections in Brazil, in which right-wing candidate Jair Bolsonaro, known as the “Trump of Brazil”, secured a victory. Speaking to Arutz Sheva, Kacowicz said the results of the elections in Brazil could also have significant implications for Israel. "This is the most important country in Latin America. There are 200 million citizens there, and it is the country with the ninth largest economy in the world, an important country with a huge territory. The victory [of Bolsonaro] is a kind of protest vote against the Labor party which ruled Brazil until two years ago and is considered to be corrupt," he said. Professor Kacowicz discussed the controversial statements of the president-elect, saying, "There is no doubt that he expresses himself in a very non-politically correct manner, but there is an expectation among the public that he will also bring order to the streets and fight crime." 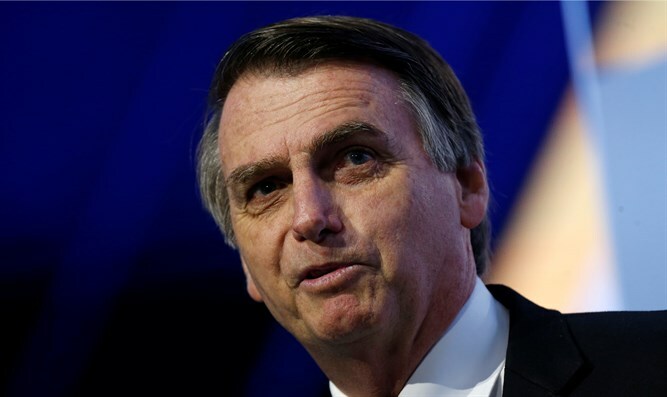 He noted that Bolsonaro's election promise to visit Israel and relocate the Brazilian embassy to Jerusalem is a dramatic change in the policy of the South American country. "In the past few years relations between Brazil and Israel have not been particularly good, including the crisis surrounding their refusal to accept the appointment of Dani Dayan as ambassador. The election of Bolsonaro, who belongs to the Evangelical stream and who declared during the election campaign that Israel would be the first country he visits as president and that he will move the embassy to Jerusalem, marks a dramatic turnaround. Brazil has a multilateral foreign policy and close relations with Iran and the Arab states. We will have to wait and see if he actually keeps his election promises,” concluded Professor Kacowicz.